It’s World Spay Day and we’re advocating for Feline Fix By Five. I get asked all the time when is ideal time to spay/neuter. There is no controversy surrounding the fact that cats should be spayed or neutered. But it is not IF, but WHEN, that is the issue. Our shelters are overrun with unwanted cats, and the number of feral and stray cats continues to generate opposition and hostility to cats. Fewer cats would go a long way to solving a number of problems for people and for the cats. There is a movement towards earlier spay/neuter by five months of age. The Feline Fix by Five initiative has been positively received and endorsed by many veterinarians nationwide and organizations such as The Cat Fanciers’ Association, The Winn Feline Foundation, The Catalyst Council, the Association of Shelter Veterinarians and the American Association of Feline Practitioners For more information, check out their website: www.FelineFixbyFive.org. You’ll find plenty of resources including low cost spay/neuter in your area (hopefully). Veterinarians in the past have not been consistent in recommending when to spay/neuter. Most often “six months or older” is recommended even though cats can have litters as young as four months in some areas. Cats that are sterilized before first heat have a very significantly lower risk of developing mammary gland cancer. Significantly in this case is over 90%. If veterinarians educate their clients, and the general public becomes aware of the impact of earlier spaying for felines, the numbers of cats entering shelters will decline as will rates of mammary gland cancer in felines. This one change has the potential to eliminate enormous suffering, prevent much of the homelessness that cats currently experience, and raise the status of cats. Once every cat is a wanted cat felines will take their rightful place as household royalty as they so richly deserve. To drive the message home, KITTENS. Let’s enjoy kitten videos but please spay/neuter since there will always be more kittens than there are homes. Most no-kill shelters are not ideal havens. They kill, only less and what is humane about a kitten surrendered to a shelter who doesn’t get adopted? I’ve seen cats grow up in a shelter setting, never knowing a real home. Some in cages, some in cage-free areas but essentially warehoused in a high-stress environment. They’re not killed but is it living? When no-kill shelter get full as they always do, they close the doors to admissions. What do think happens to those kittens someone can’t find a home for? They are often set free in alleys or dumped in the woods or worse. The kindest solution is to spay/neuter. More reasons, read what a vet has to say Why Spay Neuter is Best. 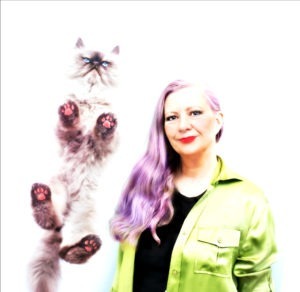 Hi Layla, thanks for this post, very informative:) just like microchipping cats, this is a very important issue to protect cats, both those who are pets and those that are without owners. Great post guys, it’s so important! Thank you for the important post! 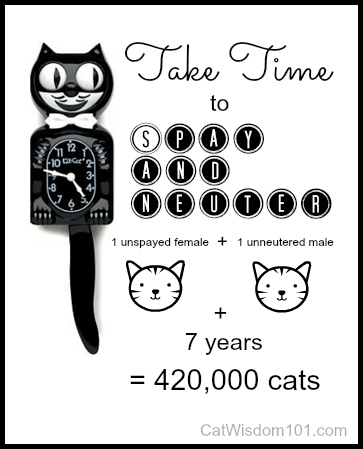 Spay/neuter is really the kindest option for kitties. You know we are always on the spay/neuter band wagon! Like Ellen we wish that there were many more low cost options. I would spay and neuter every cat that I laid eyes on if I had the funds to do so! my heart aches just thinking about all of the suffering and death caused by humans being so stupid. Excellent post. I always offer to bring cats for spay/neuter if anyone I know hasn’t already done theirs. I always thought it was around 6 months but was recently made aware that they were being spayed younger and younger. My vet tech friends tells me their motto is “3 pounds or 3 months at earliest, prefer 4 pounds & 4 months.” People want kittens so they need to be fixed before adoption cos you can’t truth that an adopter will do it. It is awful that so many cats can not has a wonderful home. That is why all of Mommy’s cats has been rescues (even me). And when mes goes over the bridge, mes made Mommy promise she will goes and gets a older cat. Great message and thanks for posting about it! I am of course all for spay and neuter having done it out of pocket for many years. I know for a fact that cats can and do have kittens at 6 months. When they do, they are of course confused and frightened (they are only really kittens themselves ) in two instances thats when I have been able to catch previously uncaught ferals when they were trying to birth outside. They were then brought in, later spayed after their kittens had grown and gotten socialized. The females usually arent able to be socialized, but go back to the colony. I wish there were more places for low cost spaying… there is usually programs for Toms but not females and it adds up quickly. 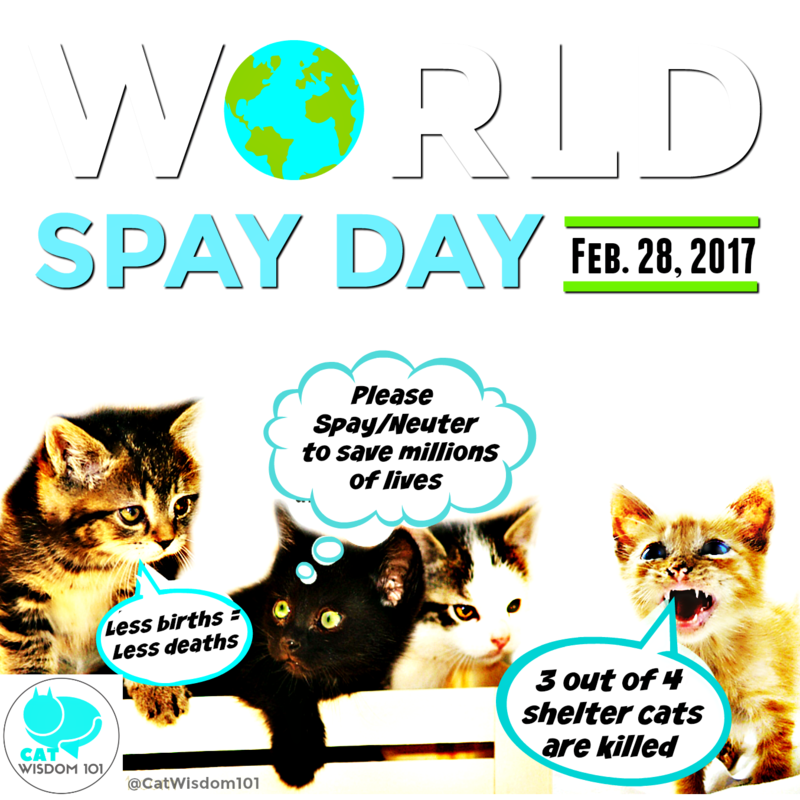 I am glad to see this post, and Happy Spay Day! What’s great with about adopting shelter cats is they are usually spay/neutered as part of the fee. We’re all for spaying and neutering! I wonder if this is the norm in Switzerland? I’m so glad to see bloggers spreading the word about this important issue! Back when my human was growing up, people still bought into myths about not spaying and neutering cats… but not her parents! Every cat that came through her parents’ doors were fixed as soon as the vet would do it. Ditto. It was common sense although hearing my first Siamese kitten in heat was enough of a motivator. Thanks so much for this, Layla. So important. We got Cheddar and Mao from a foster mother who was affiliated with a shelter in Ashland, MA, that I had found online via Petfinder in 2002. The foster home was wonderful. She only had Cheddar, Mao and their mother, having already placed the identical Cheddar and Mao with another family. Ched and Mao came to us already altered and fully immunized. In 2002, we paid $60 for the two boyz, which I thought was a good deal. In today’s terms, I think $100 or a bit more would be fine, and perhaps plans for lower-income adoptive parents.